Tenorshare 4uKey is a simple yet effective tool when it comes to regaining access to your locked iOS device. It is appropriate also for beginner PC users, as all there is to do to unlock the device is follow a few easy steps, with all the instructions provided along the way. The software comes with a very reasonable price, and is available also in Mac version. It is compatible with the latest versions of iOS and iPhone devices, and can unlock your device whether it was locked by passcode, Touch ID or any other similar protection. There is one downside though. When unlocking your device with this software, a factory reset is performed on the device. This way all the data on it is deleted. In case you have a backup on iCloud or iTunes this should not be a problem, as all you have to do is restore the data back to the device. The interface is otherwise pretty straightforward. All you have to do is connect your iOS device via USB to your computer and click the Start button. In case your device is not recognized by the software, there are detailed guidelines provided for what to do in such case as well. In conclusion, Tenorshare 4uKey can come in handy for various cases when access to your iOS device is not possible. 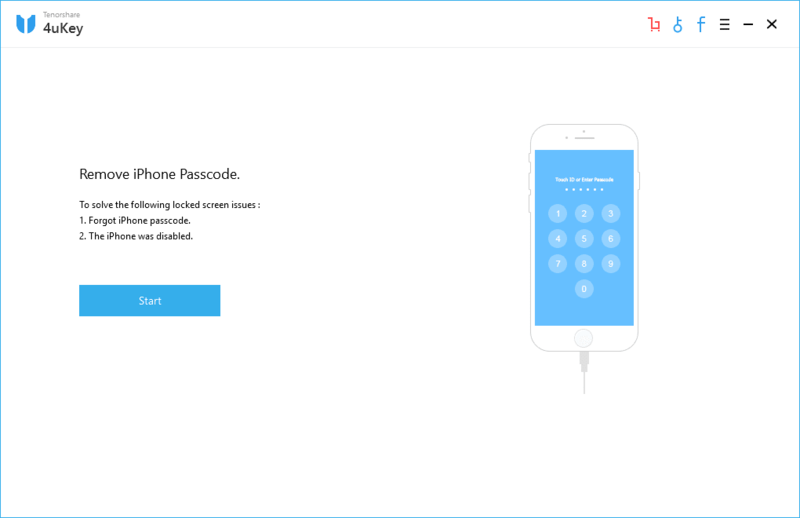 Whether you have forgotten the passcode, or bought a device without having access to it, this software can help you.